January is over and yet. Somehow, reading about cold made it suddenly seem scientific and interesting rather than something to be endured. And New York cold is different than Alaska cold. Basically, I am a weenie. 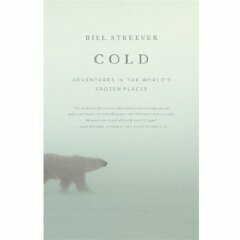 Cold: Adventures in the World's Frozen Places by Bill Streever is a fabulous book, definitely one to curl up with on a February afternoon. I kept wishing I could read it in here. 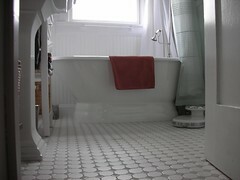 This is truly the thing I miss most about our house in Redlands. Andrea, I’ve seen pics of your California home on Telfer’s computer. It’s beautiful! Exactly the sort of place I’d like to live (if it were mine, not yours). The book looks interesting. Will add to my Amazon wish list.